The Echoes, a modern local authority housing development on Seabrooke Rise in Essex, has been awarded an RIBA East Award 2017. We collaborated with Bell Phillips Architects on the landscape design for the courtyard and streetscape around the development. 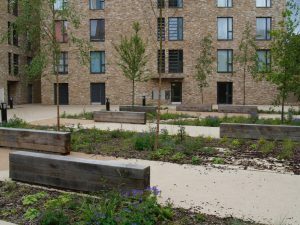 We used a mixture of native and non-native woodland plants and grasses to create this naturalistic woodland area in the communal courtyard. We planted shade tolerant plants around the boundary where a tricky north-facing aspect meant selecting just the right plants to create a lush green border. 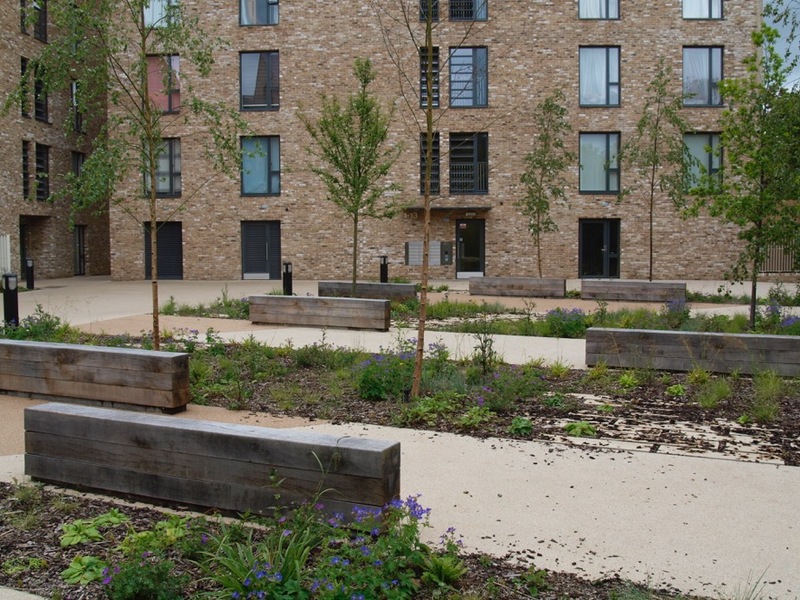 The effect is a tranquil area full of flowers and shady trees perfect for kids to play in or to sit quietly and enjoy a calm spot in this busy neighbourhood.